Now onto the fun stuff! A craft project! I know it's been a few weeks since I've posted anything creative! But today, I'm going to share with you my Back 2 School Door ( it's my Sept. wreath). I love changing my front door to match the holidays. Last year, I was googling around the web for some new fall ideas when I stumbled across this fabulous site called Door Couture! Seriously, you have to check out this site and see there amazing tutorials! 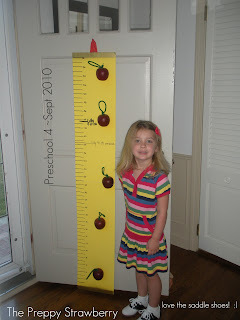 This is where, I got the idea for my front door ruler as you can see pictured above. This was so easy to make and they provide you with step by step instructions on how to put it all together. They put together a fabulous tutorial so instead of reinventing the wheel I will let you download the tutorial they have put together on their website. This year I decided to treat Lilly's teacher to one for the classroom. For this project, I did it a little simpler than the one I did for my front door. 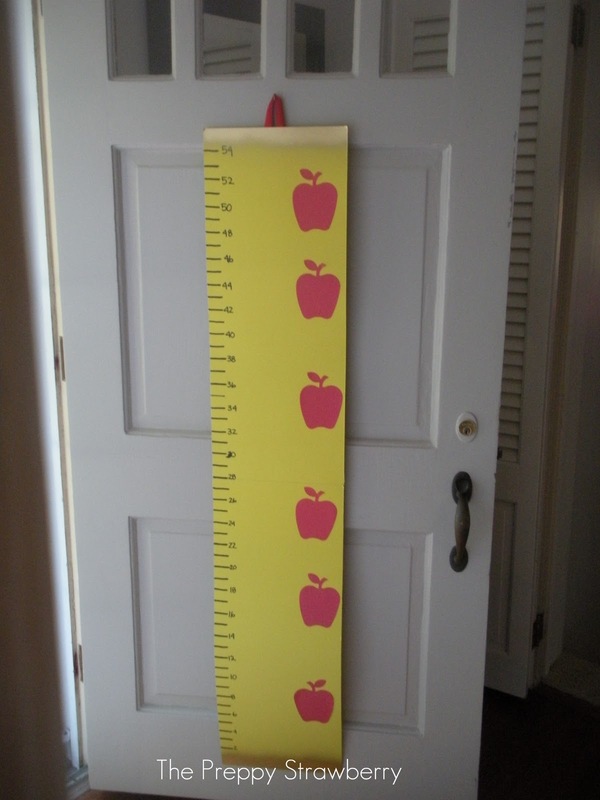 For this one, I used yellow poster board and I cut apples out with the cricuit and just glued the apples on. 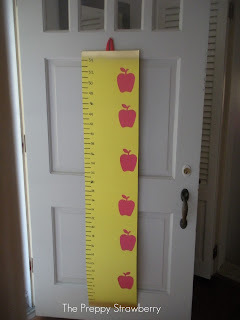 The classroom walls I didn't think would take the heavy foam core that I used for my door and I thought that some 4 year old would try to ripe off one of the big apples! Let me know if you try this! I would love to see your Back To School Door! Hi Amy - great door and I'm going to check out the site you listed. I haven't been into decorating the exterior of our house much in the past but with a little one it is something I want to do. Thanks for stopping by and sharing this cool idea. you've so clever! 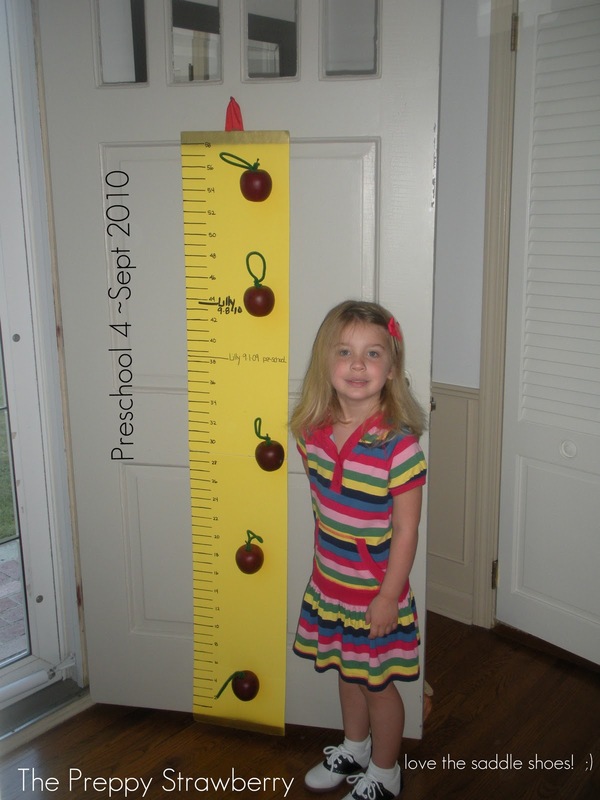 and do you plan to keep it year after year and mark how tall she is when she starts school?